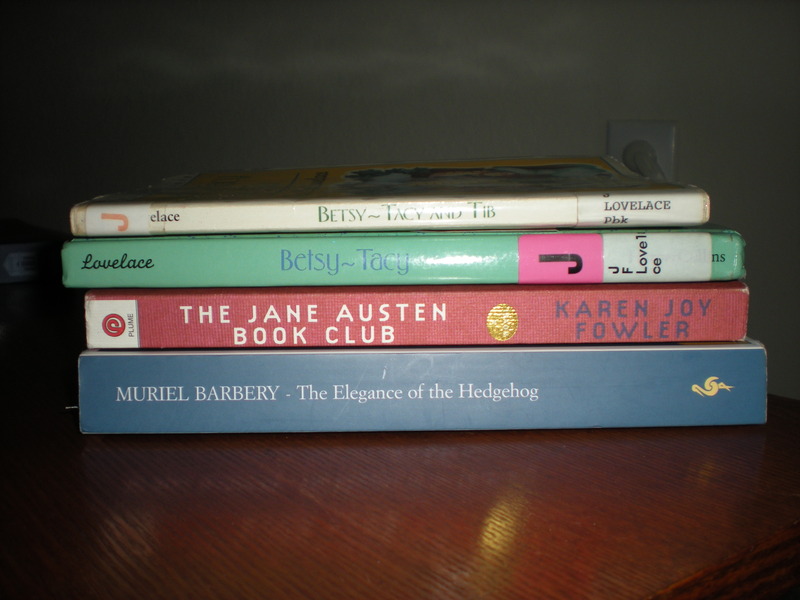 Books: September 2009 – my books. my life. September turned out to be a pretty good reading month for me. I enjoyed everything I read and 4 books is really the best I can ever hope for (it doesn’t hurt that the Betsy-Tacy books are so short). 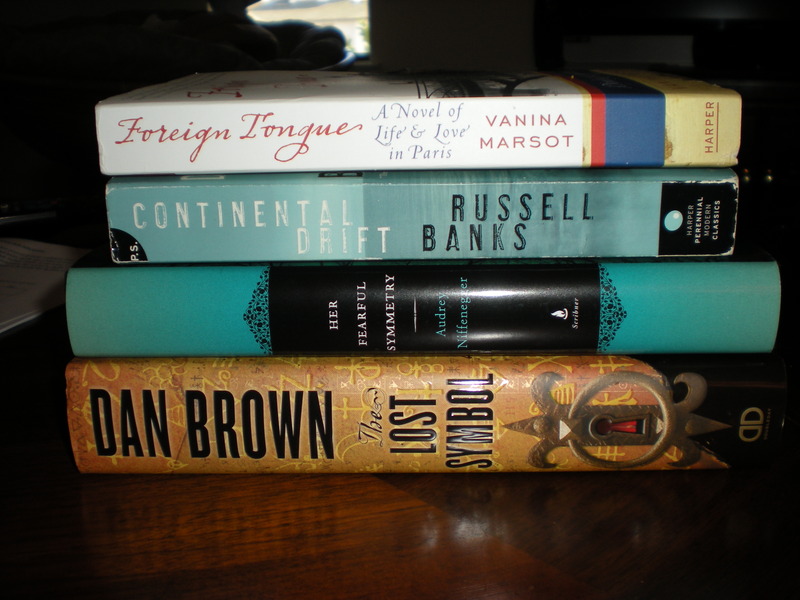 And of our new books, only one of those is really mine and I won it from Book Club Girl so I didn’t actually pay for it. The other 3 Ben bought but I am really looking forward to getting my hands on Her Fearful Symmetry. I left two books unfinished in September: Under the Banner of Heaven by Jon Krakauer and Pride and Prejudice. I keep losing interest in those two and reading other books instead. But I will finish them someday. I want to read Her Fearful Symmetry too, I'd be interested to hear how you like it when you get around to it. Interesting list! Your cover of 'Her fearful symmetry' looks different from the cover I have seen. 'Continental Drift' is an interesting title! How some titles inspire our imagination – and this one certainly does! Looking forward to reading your review on it. 'Foreign Tongue : A novel of life and love in Paris' also looks interesting. I would also love to hear your views on Dan Brown's 'The Lost Symbol'. I finished reading it sometime back. But I am not going to tell you anything about the book till you finish it 🙂 Don't want to give away any spoilers!